Lionel Messi will be 35 at Qatar 2022 but former Argentina boss Jorge Sampaoli thinks he can still win the biggest prize in football. 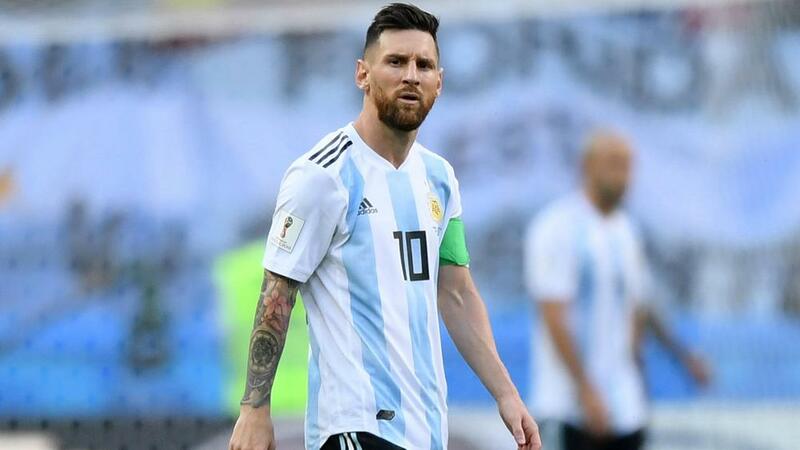 Lionel Messi can still win the World Cup if Argentina do not abandon their "process", according to former head coach Jorge Sampaoli. Messi's fourth World Cup in Russia ended in a last-16 defeat to France – a result that led to Sampaoli's dismissal – and the Barcelona superstar will be 35 when Qatar 2022 comes around. Speaking publicly for the first time since he was sacked, Sampaoli remains confident that Messi – who has not yet confirmed whether he will keep playing international football – has what it takes to triumph on the biggest stage of all, should he receive the support of the Argentina Football Association. Asked if Messi can win the World Cup, Sampaoli told Marca: "Of course he can. But this needs a process, considering what has happened up to now. "Processes don't break, they are corrected. For the next World Cup or Copa America, there needs to be organisation, unlimited confidence and to know what the process requires. "In other words, if the Copa America is not won, we need to maintain that process and not break it. "Enough of that madness where if you don't win, you are a loser. It's not like that, if you believe, then it's possible even if it may happen later on. But you have to believe." Sampaoli coached the five-time Ballon d'Or winner for 13 months before his departure and concedes it was a challenge for himself and Messi's team-mates to meet the 31-year-old's high standards. "It was incredible," he added. "Especially seeing him so committed, suffering a lot when we didn't win. "The best player in history was very committed. Leo suffered like no-one else, it was a big weight for him not to have been able to be successful as a team. "To have the best in the world in your team forces maximum effort. The rest of us have to be at his level, but at times you can and other times you cannot. We had that battle every day. "To have Leo forces you not to have a margin of error when it comes to winning." Previous Nacho: Real Madrid With Lopetegui "To The Death"